Jade Kerin during 2018 Mentorship at the Art Gallery of NSW. Blake Griffiths from Broken Hill Regional Art Gallery, 2017 Mentorship recipient running a an artist experience tour at the Art Gallery of NSW. Rilka Oakley, Curator, Blue Mountains Cultural Centre undertook a Mentorship at the Museum of Contemporary Art Australia with Phoebe Rathmell Curatorial Assistant, MCA. Kerrie Goodwin, Murray Art Museum Albury, undertook a Mentorship at Biennale of Sydney in 2017. 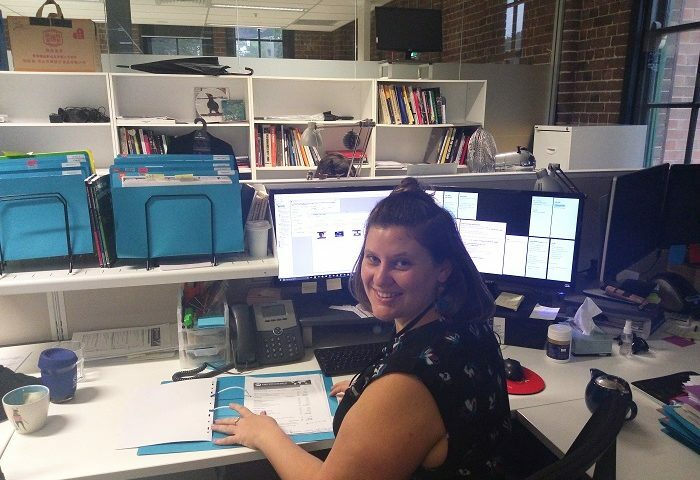 Mentorships provide opportunities for emerging and mid-level NSW museum and gallery staff to spend two weeks with a state, national or smaller, more specialised organisation. Mentorship applicants also have the option to choose their own organisation. M&G NSW staff can provide advice on possible placements and make contact with organisations on their behalf. Please contact M&G NSW if you experience difficulties using the online application form. This is a Create NSW devolved funding program, administered by Museums & Galleries of NSW on behalf of the NSW Government.